The attribution rel="nofollow" is a important factor to keep your site safe from Google's black list. 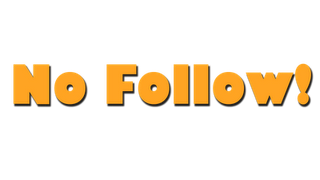 Do follows are also extremely important for the free flow of page rank flow for building traffic for new blogger. I will show you a common way which you can use to find nofollow links from all the blogs and app for popular browsers that will simply highlight the nofollow links. 3. Look all the way down and check the box for "Show Nofollow"
2. Click on "add to Firefox"
4. Right click on the browser and choose "NofolowDofollow"